Shopee, the leading e-commerce platform in Southeast Asia and Taiwan, is proud to announce its collaboration with honor Malaysia to exclusively launch the honor 7A and Phantom Green variant of the honor 10 during the Super honor Day sale, taking place in Malaysia on 8 June 2018. Throughout the sale, tech lovers can expect flash sales for both these phones and great bargains with up to 30% discount on all honor products storewide. 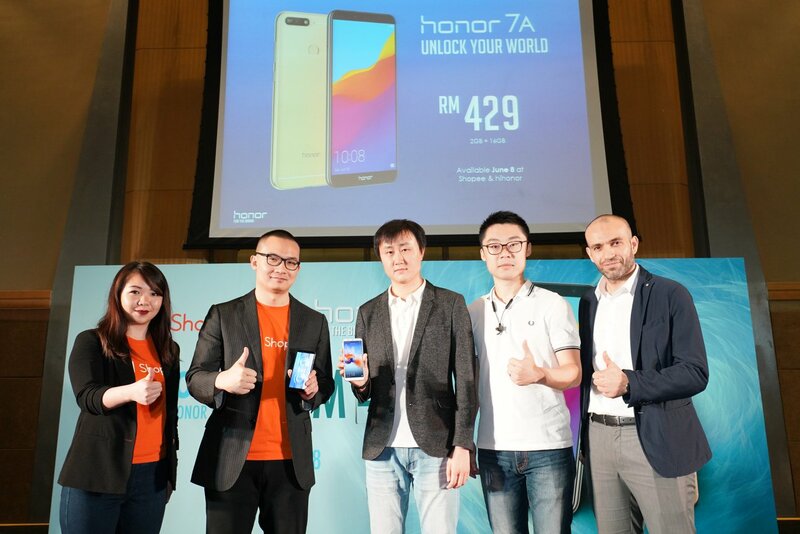 “As a global leading smartphone e-brand for digital natives, our collaboration with Shopee makes sense, with their proven track record for providing a fuss-free, easy and convenient online shopping experience for users all across Malaysia. 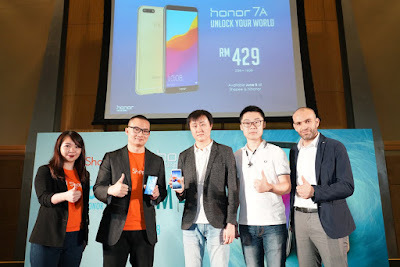 We always strive to make our quality, trendy and forward-thinking gadgets as accessible as possible, and working with Shopee gives all our honor fans the chance to ‘balik kampung’ with a performance-packed honor handset without burning a hole in their pocket,” said Zhao Zhiwei, Head of honor Malaysia. The new honor 7A is slated to be the next best-value mass-market smartphone with its 5.7-inch FullView display that fits right in your hands. With a dual-lens camera packaged into this affordable handset which includes a 8MP front camera, quality selfies alongside all your fondest memories can be captured and shared with your loved ones. It also boasts a 3000mAh battery that can last the entire day despite heavy usage. This smartphone has just gotten smarter with EMUI 8.0 that delivers an additional range of functional smart features. The honor 7A features a dual SIM and an SD card slot for users’ convenience. 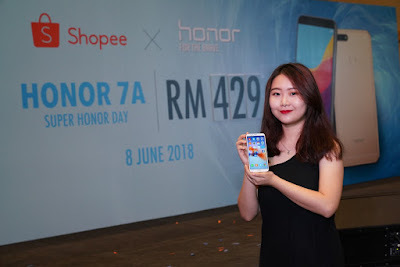 The honor 7A will be available via the hihonor platform as well as the honor Official Shop on Shopee at a special price during the Shocking Sale at only RM429 (RRP: RM479). 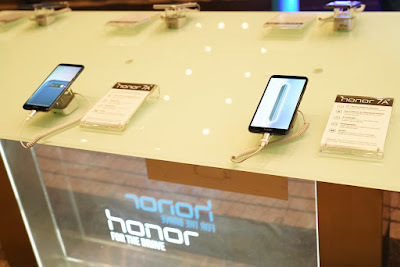 Those who missed out on the previous honor 10 bargain will also be overjoyed to learn that the other iridescent variant of the latest addition to honor’s flagship family, the Phantom Green honor 10, will be available on hihonor and Shopee during the Super honor Day sale. Come 8 June 2018, fans can not only get the Phantom Green variant at RM 1,599, but receive freebies worth RM 298 with each purchase, while stocks last. Download Shopee app for FREE via App Store or Google Play.